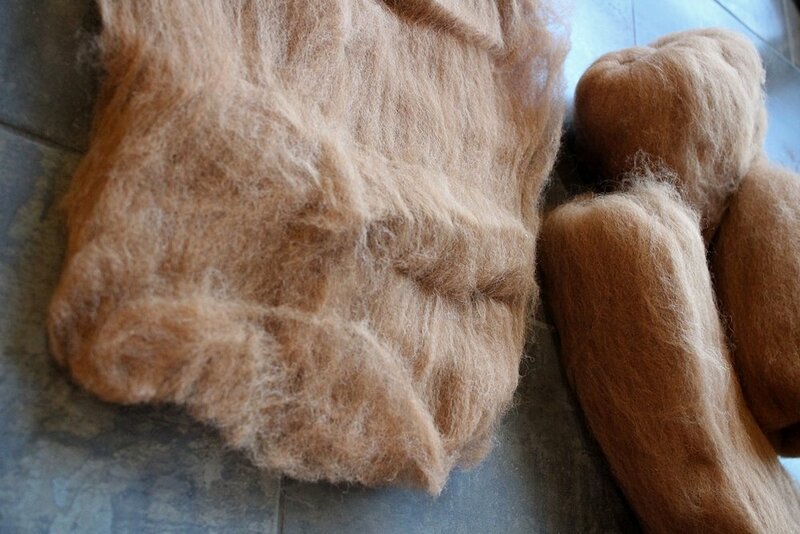 Tour de Fleece kicked off 5 days ago and I’ve been at the wheel for every one of them. It’s been an absolute blast. 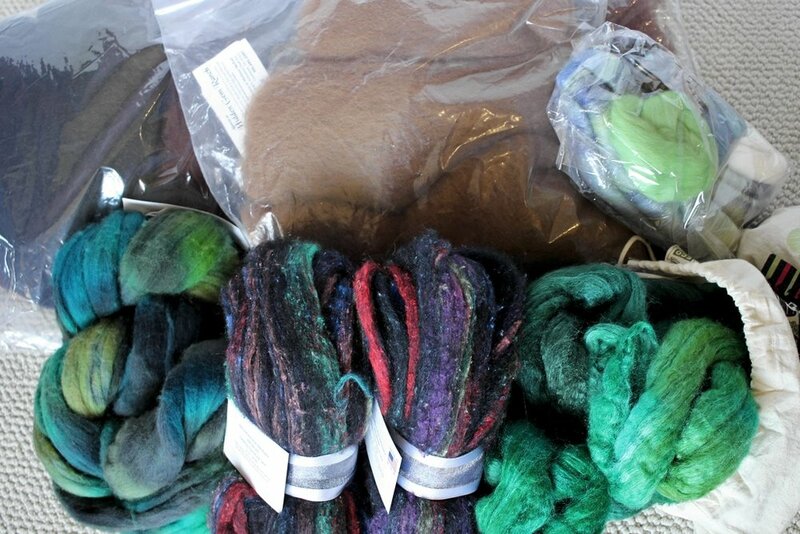 I’ve gone stash diving, spun yarn that’s been on my list for way too long, and am pushing myself to become a better spinner. The Tour came along at the right time to be the perfect motivation I needed to get going again. It’s been months since I’ve spun anything at all, and I didn’t realize how much I missed it until now. Since I’ve taken such a long break, I picked 3 projects I thought I could tackle in 3 weeks. The first is something that I’ve wanted to spin since last year, a 2-ply yarn barber pole yarn with one solid ply and one wild variegated ply. I bought a 2oz set of random mini-batts from PineRiverKnits last year just for this purpose. 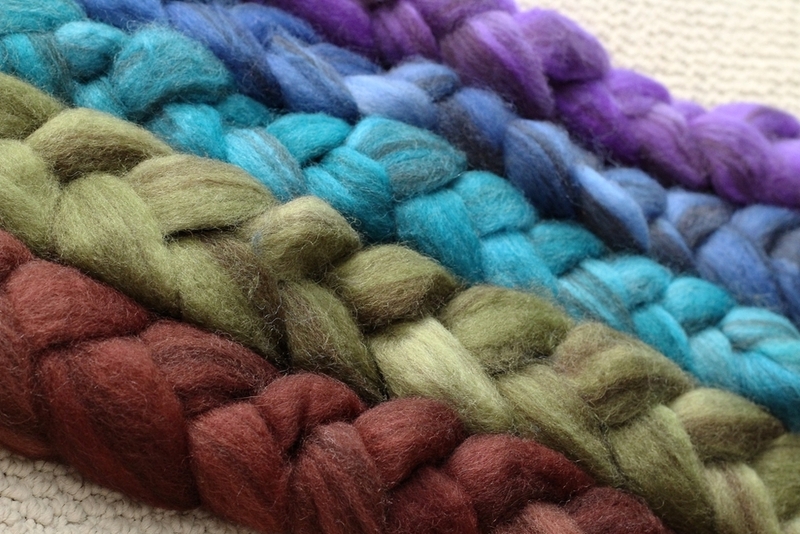 To go with it, I set aside an equal amount of Ashland Bay merino in logwood. Then I put it all together in a bag, and that was the prep. 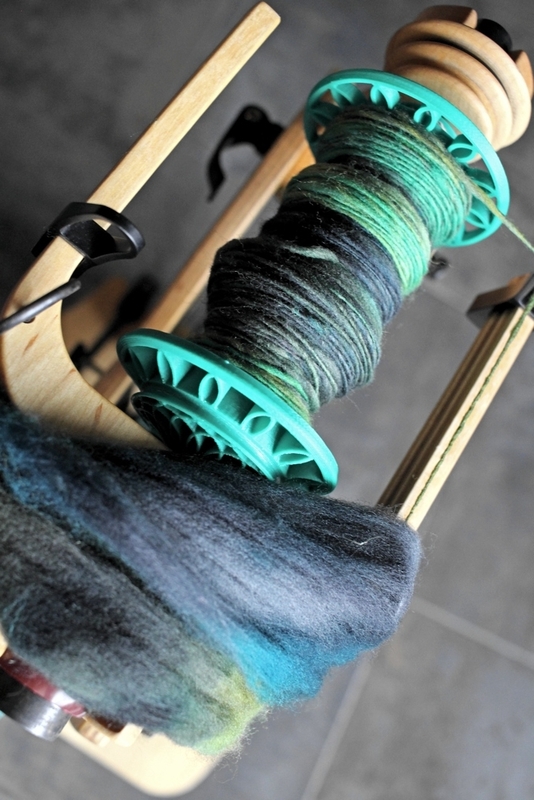 I started spinning the batts right after breakfast on Saturday. I didn’t want to fuss over the color progression, so I grabbed batts without even looking at them. The bigger ones I split in half lengthwise and worked the smaller ones as they were. There was so much color bundled up in every one! All of them were so fun and so easy to spin that I was sad when they were gone. Then I wasted no time spinning up the grey ply. 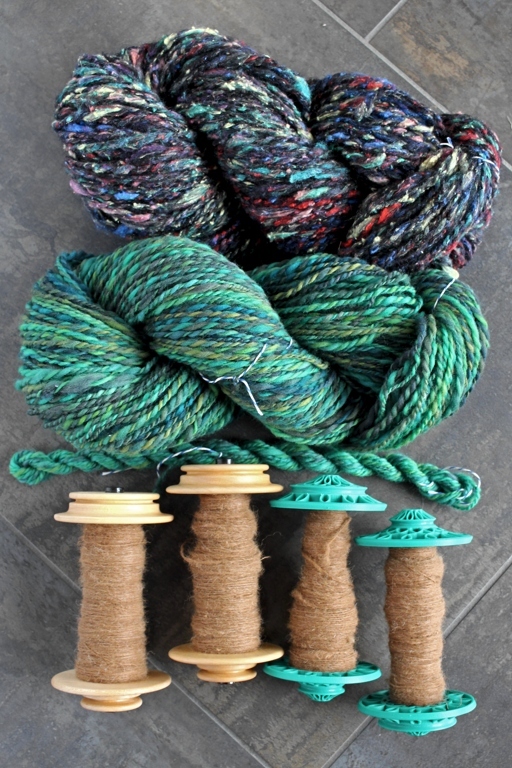 My hands still felt pretty good and a had a couple of hours to myself, so I started spinning the first sock yarn ply. That first day of the Tour was really productive. 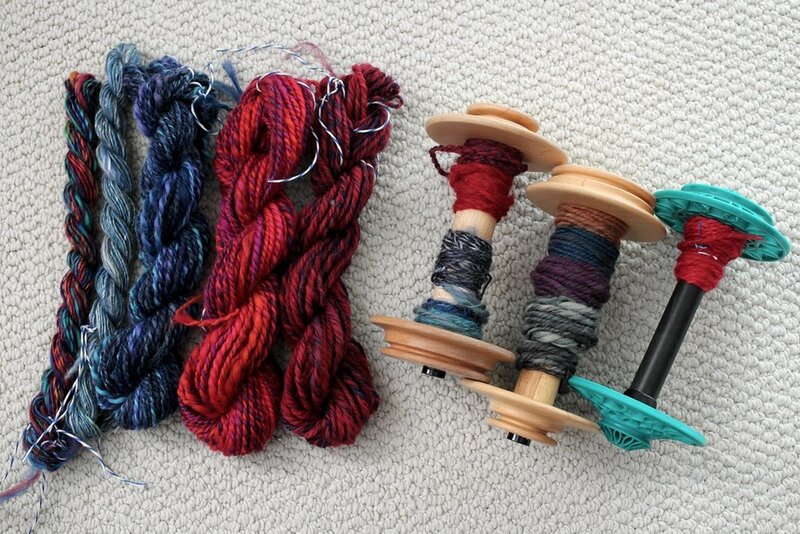 I didn’t have quite the same output on Day 2, but there was still plenty of plying. 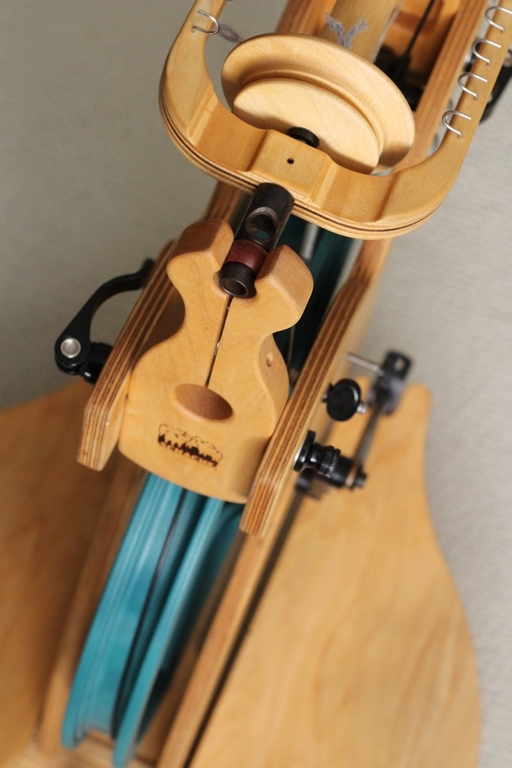 I use a jumbo flyer and bobbin for plying because I can get 4+ ounces on it without a hassle. 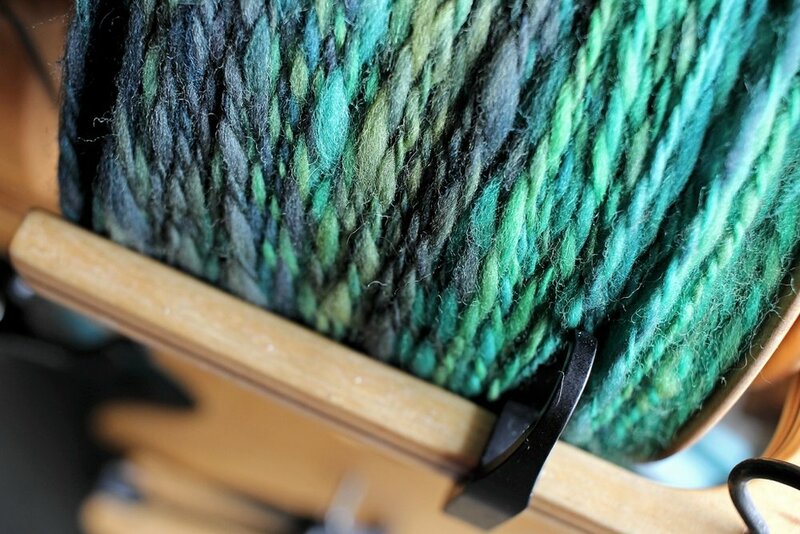 The yarn was beautiful and plying was going really well until I started running out of grey. 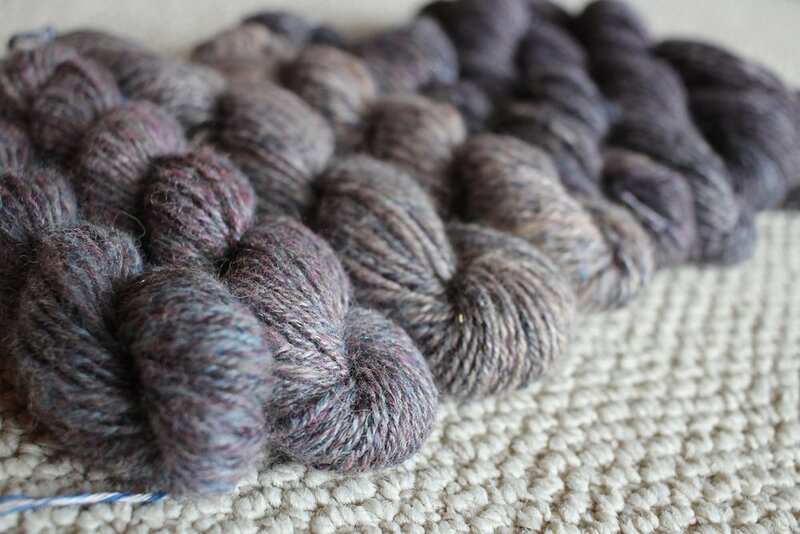 I started plying a little slower in hopes that the grey would last a little longer. I know it doesn’t work that way, but I couldn’t help myself. 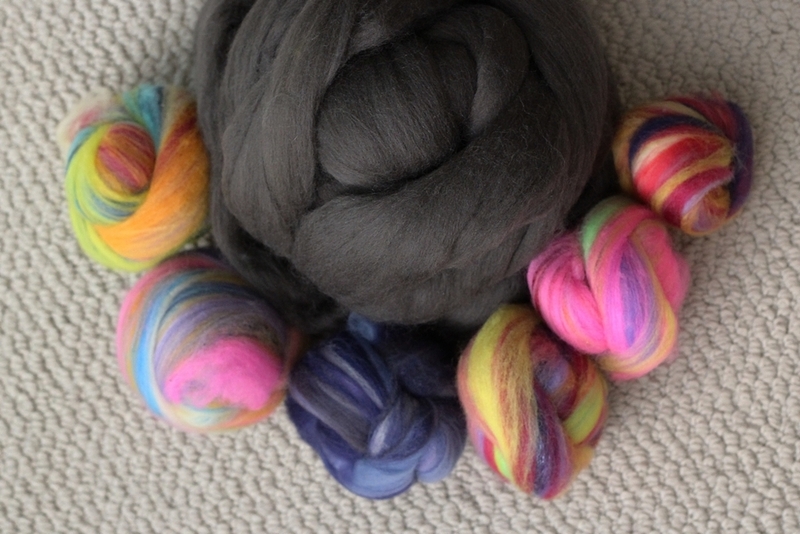 There was still half an ounce left of the batt ply when I finally used all the grey. 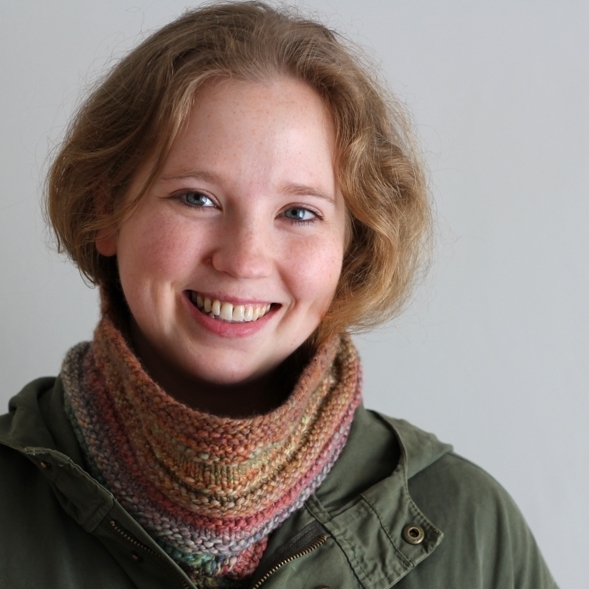 I wanted as much yardage as possible out of this one skein so drastic measures were taken. Having 2 flyers for my wheel made this really easy. I took the jumbo flyer and the front maiden assembly off and replaced it the standard flyer and maiden. No cutting of yarn required. 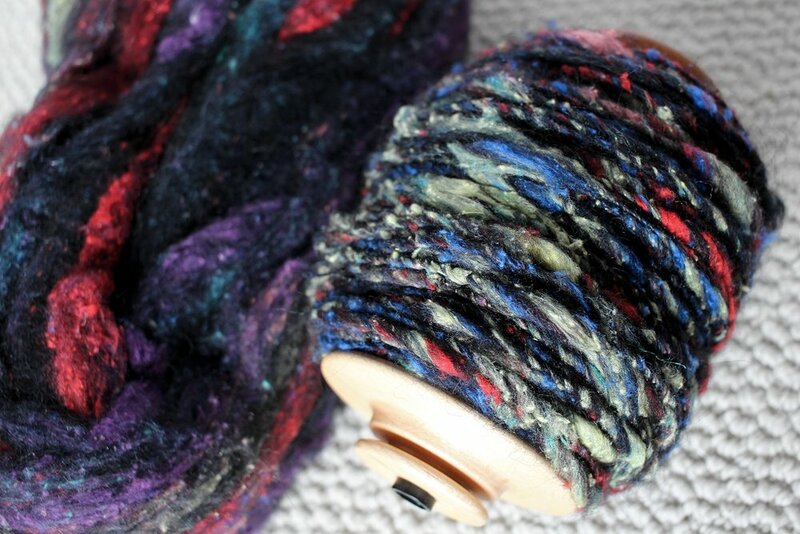 Then I spun another half ounce of grey and let the twist rest for a couple of hours. Once I switched out the flyers again, I was back to plying. 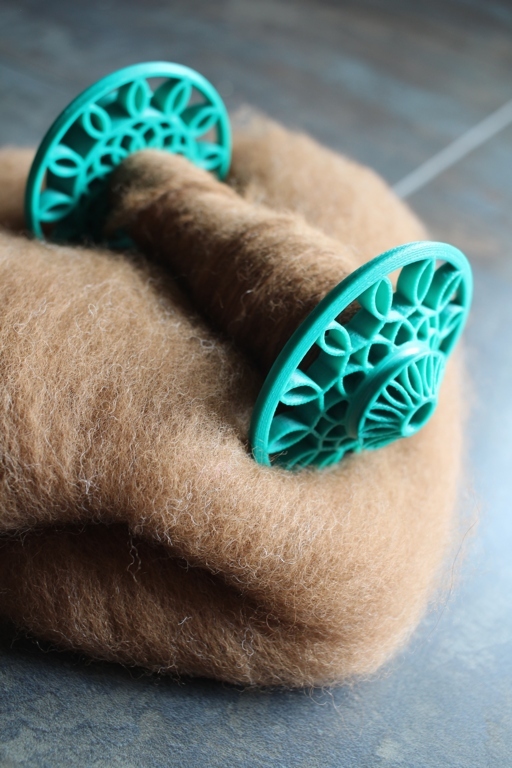 There was still a little bit of the batt ply left, but I pliedit with itself. 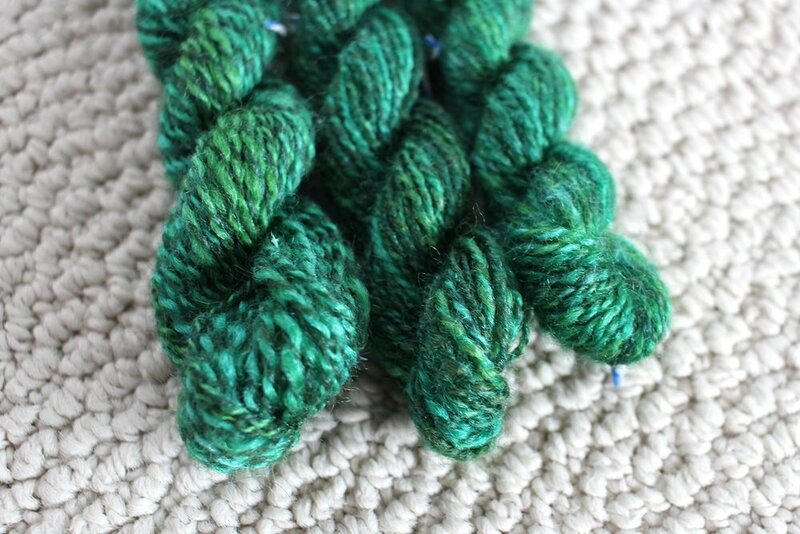 I am absolutely thrilled with this yarn. It’s lofty and cushy and soft. The colors are way outside of what I would usually pick for myself, but I love how they interact with the grey. 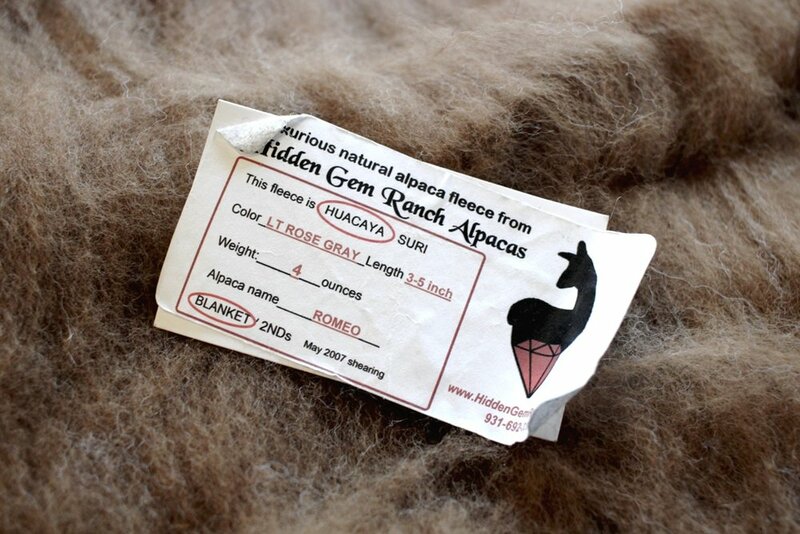 The yarn is thick and thin, ranging from sport to bulky weight. I can’t get the idea of using it for a trianglar or crescent-shaped shawl out of my head because it seems like the best way to show off the colors. I’ve got about 206 yards to work with which is probably enough for a small shawlette. Now I’m putting all of my spinning time into this sock yarn. One ply left for the first skein and 3 to go for the next. Spinning these is going much faster than I expected. I might be spinning more than 3 projects after all.